Past Simple vs. Past Continuous. 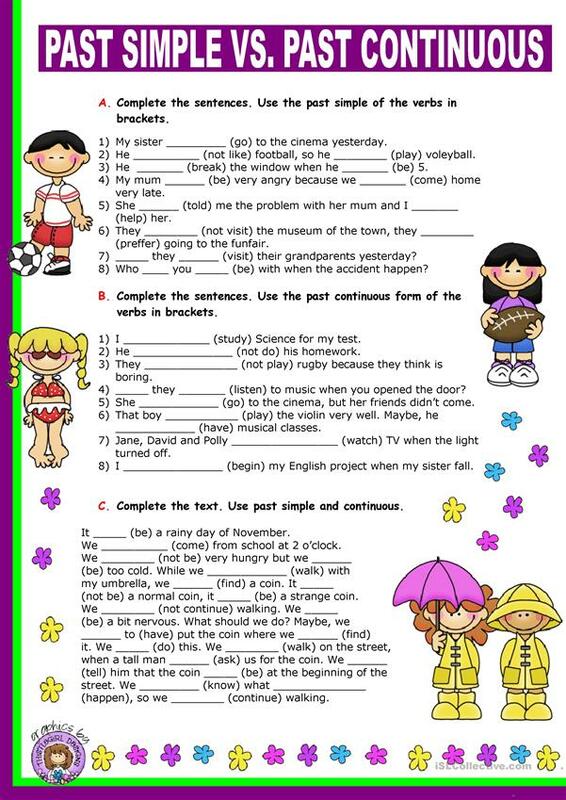 This is a worksheet I prepared last year for my elementary students as an introduction of these tenses. I hope you like it. The above downloadable teaching material is best suited for elementary school students at Elementary (A1) and Pre-intermediate (A2) level. It is a useful material for practising Past simple & continuous tense in English.